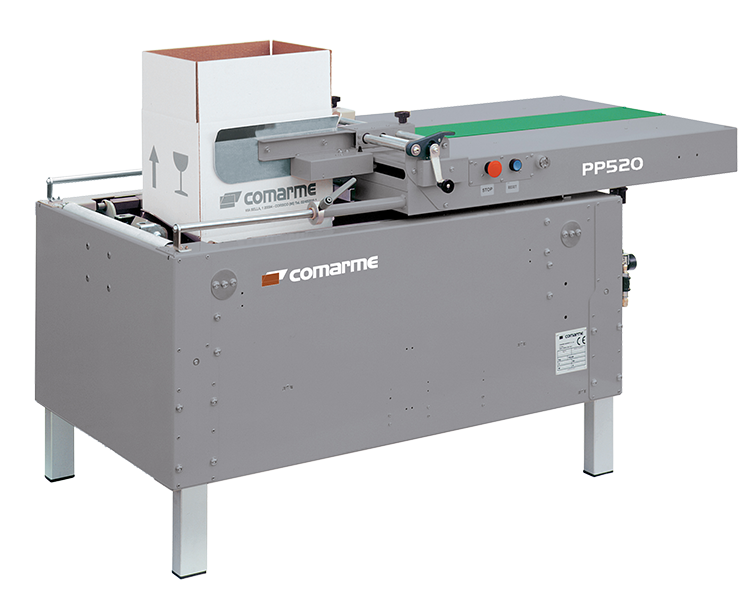 Semi-Automatic Carton Erectors with manual placing of cartons at a slight angle to fold the front and rear flaps. By keeping the box pressed downwards, it is then pushed forward for the pneumatic closure of the lateral flaps. Once the carton is formed, it is locked it its position ready for filling. After filling, a pneumatic control then pushes the box forward. A Carton sealer could then be installed to tape the upper and lower flaps.